Since 2002, Dogtopia has provided exceptional care for dogs and currently operates locations throughout the United States and Canada. Dogtopia was one of the early pioneers in the dog daycare industry. That means we’ve had more than 16 years to refine and perfect our model. We also operate six stores ourselves as company-owned units. We know how to make daycare a profitable business endeavor. As the U.S. pet industry is predicted to be a $117 billion by 2021, Dogtopia is set to be the leading franchise in the pet industry. Validating Dogtopia’s significant growth, we were recently named to Entrepreneur Magazine’s esteemed Franchise 500® list. Dogtopia ranked at No. 205 as a result of our outstanding performance in areas including unit growth and financial performance along with strong franchisee support. In addition, for the second consecutive year, Dogtopia was honored in the Top 50 Franchises by Franchise Business Review, based on rankings tabulated from independent surveys measuring franchisee satisfaction. 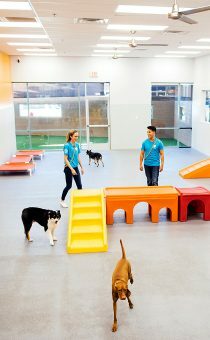 Dogtopia is the fastest-growing pet franchise in the United States. We plan to open franchise locations across a variety of North American markets growing to reach the 400-unit milestone by 2021. The demand for our brand, flexibility of our model and the availability of prime territories is fueling our growth. There has never been a better time to join our franchise. You could be the first to bring Dogtopia to your community! 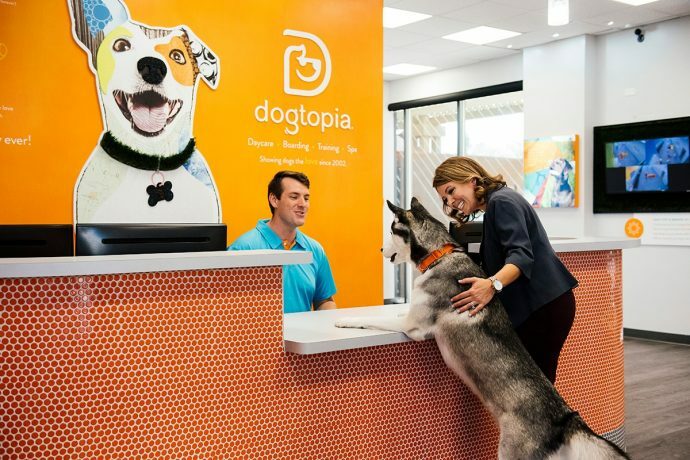 One of the prime benefits of teaming up with a rapidly growing brand like Dogtopia is the ability to cherry-pick prime markets to open a location that is perfect for you. You have the chance to open your own Dogtopia where you know people and have connections. Dogtopia has very impressive unit economics, including dramatic year-over-year traffic and sales growth in one of the fastest-growing industries. The difference is incredibly engaged franchisees combined with an executive management team that has a winning track record and extensive experience with national brands. Our focus on unit success and refinement of our operational and marketing systems has positioned Dogtopia for dramatic growth in the coming years. Momentum has largely been driven by the growing demand for professional pet care services, heightened by Dogtopia’s unparalleled franchise support, training and franchise industry expertise. 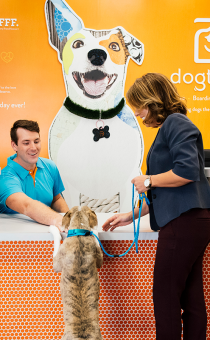 With 16 years of industry leading experience, Dogtopia is primed to capture even more market share as we continue to attract sophisticated and passionate franchisees. With plans to penetrate several new urban markets in 2018, and beyond the company is continuing to target motivated franchise candidates looking to grab a piece of the booming pet industry. We believe that it’s important to continually innovate in order to maintain top-level service for our customers and stay ahead of competitors. Our team is always looking to incorporate new technology, improve business processes and elevate our brand presence. We also have a custom-built proprietary mobile app on both Apple and Android which allows our customers to easily book appointments, see their dogs on our webcams and coordinate our concierge drop-off service. We run a sophisticated local search program which provides our franchisees with the ability to out-rank their local competitors on Google. The focus of the program is to help our newly-launched Dogtopia locations gain visibility in search results much faster than would normally be the case. Through this approach, we are able to generate a large number of leads and new sales for our new franchise locations very quickly. When a new location opens, our Support Office creates a local Facebook page that is part of the Dogtopia Facebook locations framework, enabling a consistent brand look and feel. The local Facebook pages automatically receive high-quality creative, posts, offers and incentives from the national team to keep their page active. At the same time, every franchisee has the ability to create their own posts to really showcase the personality of their local location. The Support Office will also provide creative and post ideas for franchisees who also wish to engage in local social media marketing on other social networking sites like Instagram and Twitter. 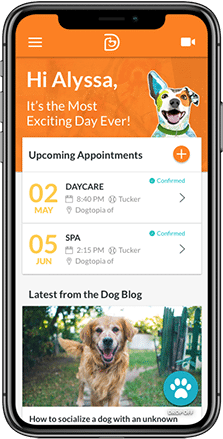 Dogtopia also offers an integrated advertising program which empowers franchisees to easily run localized Facebook, Instagram and Google advertising with an easy-to-use interface that requires no previous digital advertising experience. Campaign imagery and copy are provided by the Support Office to make it as easy as possible for individual locations to deploy sophisticated campaigns in minutes. Franchisees are able to set their daily budgets and track and manage their store’s leads (both from form completions and phone calls), including call recordings.